Ladies and gentlemen, get your wallets ready. It's finally here; this years Steam Summer Sale. 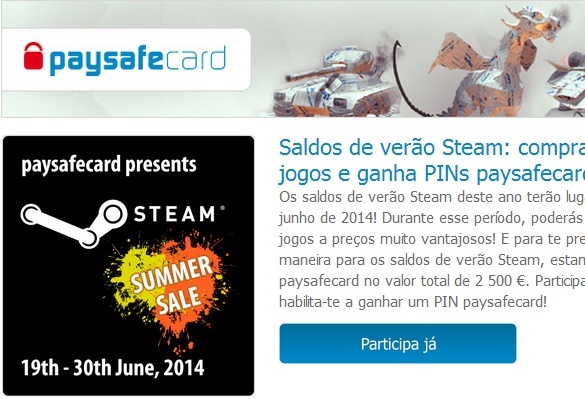 For those of you who do not know what the Steam Summer sale is, here's a little information. Steam is the go-to client for PC gamers. You can connect with other gamers, chat with them, play multiplayer with them, gain achievements, compare them, and tons more! During the annual Steam Summer Sale, tons of hit PC games go on sale (duh)! These games aren't usually the boring old games no one plays, it's usually the awesome games that everyone wants. Steam tops it all off by making these sales worth it for those PC gamers out there. Thanks to a post on NeoGaf, we are able to confirm that this years Steam Sale will start on June 19th, 2014 and end on June 30th, 2014. So far there is no information about what exactly is going to be on sale, but I'm sure it will be killer! Who's ready?! I will try to keep this thread updated with what will be up for sale this summer!